An established business for over thirty years in the downtown core, 406 Sportswear features a wide array of women’s clothing collections. Dawn and her team invite you to come in for an enjoyable buying experience with one-on-one design assistance with no-pressure courtesy. 406 Sportswear is the place to browse for high quality comfortable clothing with casual elegance. Adventura is passionate about creating fashionable, comfortable clothing with a low environmental impact. Natural colours and easy wear fabrics define the Adventura collection. 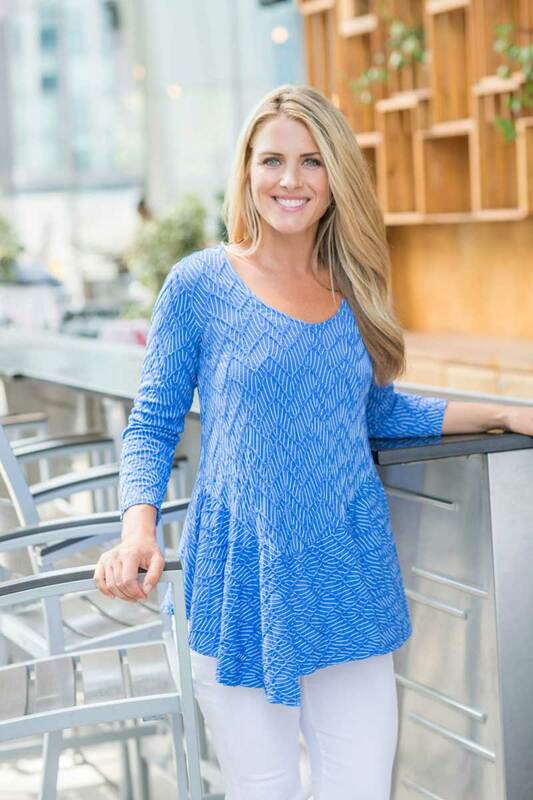 Naya from Ireland is all about an easy flowing fit, and easy to wear colours. Habitat “Clothes to live in” are the ultimate in comfort, style and natural fabrics. 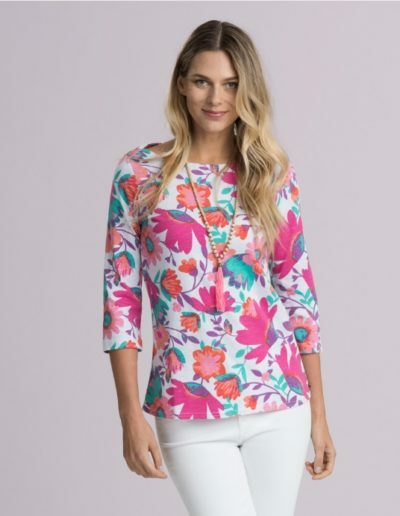 Hatley’s mission is to create fun, well designed nature-inspired apparel. 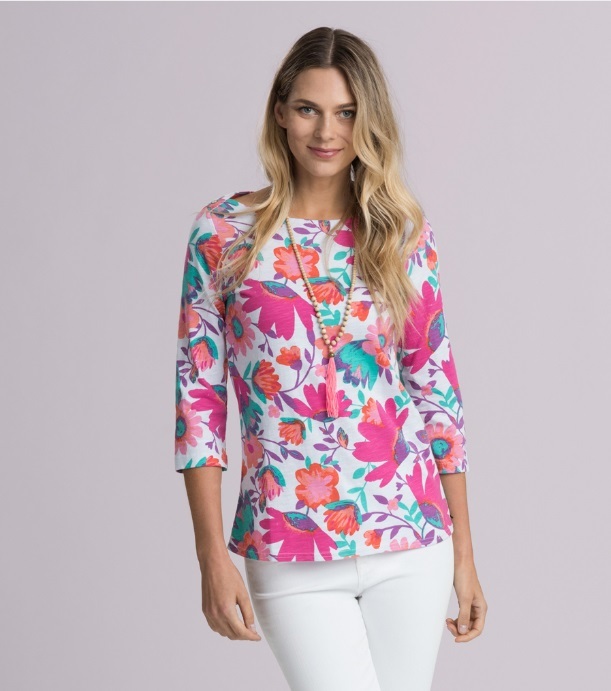 Hatley is a very successful apparel business started over twenty years ago by a husband and wife team in the lakeside village of North Hatley, Canada. These colourful easy-care dresses, tops and pants are must-haves for your seasonal wardrobes. Jag. 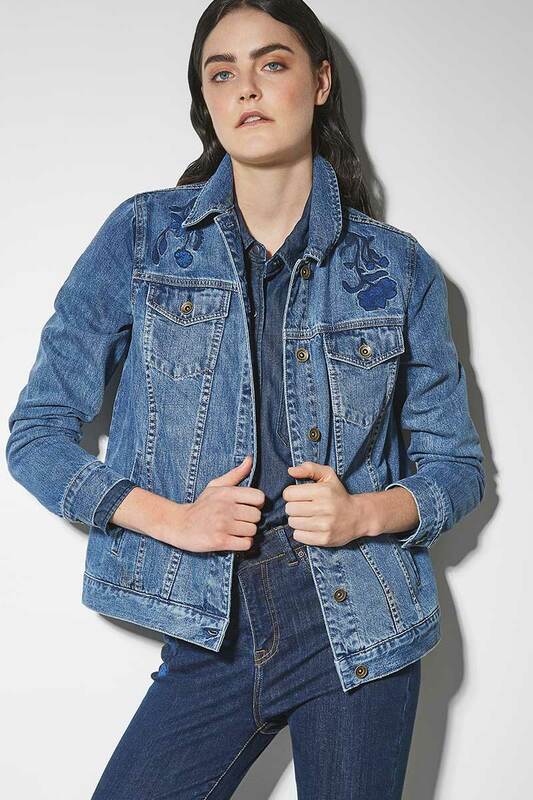 With their globally famous Jag Jeans, you will find browsing through this collection a lot of fun. Easy going incredible knits and jeans are yours to choose from. Liverpool’s mission is to design jeans that enhance confidence and radiance with every step you take. Be who you are. Funky, trendy and always fresh, Liverpool is a great collection to inspire self esteem. 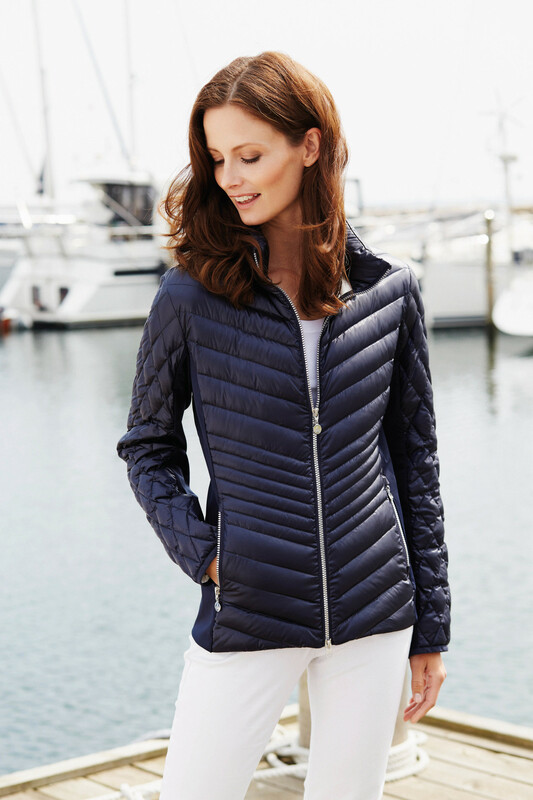 Junge Coats and jackets are for fashion-conscious women who want quality and comfort for any occasion. Junge is a popular collection designed with high quality fabric focusing on details to emphasise your best features. Fenini is all about style and comfort. Design details make Fenini unique and interesting for work or play. Chalet clothing is known for its artsy, easy fit. Browse through tops and dresses made with soft comfy fabrics, crinkle-tones and natural fiber material. Chalet is absolutely flattering and easy to care for. Miik is homegrown luxury; proud to be Canadian. Miik manufactures all their clothing from mill, dye, design and sewing in Canada. Their entire collection is made from custom milled and sustainably sourced fabrics. Parkhurst is a legendary Canadian manufacturer of sweaters and outerwear. This is a perfect collection for back to school fashion and looking great on the ski hill. Parkhurst also makes spring and summer women’s clothing in fresh colours and breezy styles. Mansted is a personal knitwear collection designed with a mix of pure cotton, linen, hemp and wool yarns. Mansted specializes in vibrant melange colours in lamb’s wool and cotton. You will be surprised at the light weight of their knitwear. Monday to Saturday 9:30 to 5:00 p.m.
© 2019 InfoTelMultimedia.ca - iNFOnews.ca - 406 Sportswear Ltd. - All Rights Reserved. View our InfoTel.ca listing under Womens Clothing Store for Kamloops.